"How do I check the system to see if everything is working without taking it apart?" How do I check the system to see if everything is working without taking it apart? "Would like to give higher then 5. Melvin, Rubin and Waldo were great. Very professional. And friendly"
"Kenny tramutola was very professional, informative, and personable. Melvin Cordova was a confident well trained knowledgeable..."
Kenny tramutola was very professional, informative, and personable. Melvin Cordova was a confident well trained knowledgeable professional. And the basement is dry. Our friend was very happy with the work Quality 1st did for her, she recommended the company very highly. The young man who dug the trench on the lawn did an excellent job, they cleaned up in the basement very nice. They were a great team. The salesman was very knowledgeable and the installation team was friendly. I've been searching for a solution to my crawl space problems for two years. Quality 1st had the best solution to the problem and the best price. The installation was quick! My husband and I used Quality 1st Basement Systems at a prior home and were satisfied with the job done. We hired Quality 1st Basement Systems because of their no pressure sales team that didn't try to sell us extras we didn't want. The sales team answered all of our questions and was very polite and efficient. I loved your ad on Star 99.1 FM. The saleman [Kenny Tramutola] was great, very thorough, answered all my questions, and was very patient. The installation team was AWESOME!!!!! I am totally satisfied with the job, the installation of a SaniDry and a SmartPump. The presentation was well presented and thorough. The installation team was very professional, very careful about dust- used tarps throughout the house. Juan was very courteous and professional. You were the only company I know that does the "Carbon Armor" type repair. I first approached Quality 1st Basement Systems because the house that I was interested in buying had a lot of water damage to the crawl space. After getting Quality 1st's number from my home inspector, I decided to give them a call. I was very happy with how easy it was to get in touch with the office, and set up an appointment. When the salesman came out, he was very professional, and knew how to solve my problem. The installation crew was also very good, and fixed my crawl space. Overall I am very satisfied with Quality 1st, and I am happy with my new waterproofed crawl space. 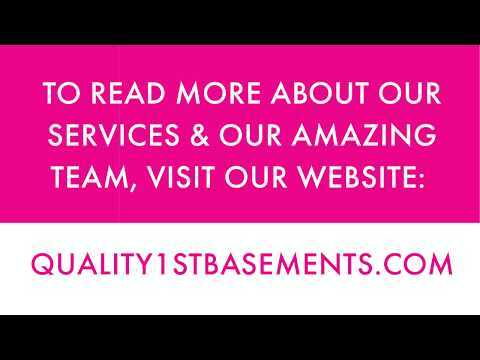 I am very satisfied with the work completed by Quality 1st Basement Systems. My inspector Kenny was professional and informative, he answered all of my questions. I had been thinking about waterproofing my basement for a year before calling Quality 1st. I ultimately chose to go with Quality 1st because of the price and value of their products. The installation crew led by Wilver was professional and got all the work done in just one day! I decided to invest in 2 sump pumps and a french drain system. Kenny has a great understanding of the importance of a dry basement having extensive training and experience in the industry. He also has many years of structural repair experience and has been thoroughly trained in identifying and resolving foundation issues. He has over 10 years of experience in the industry and brings a focused, intelligent approach to each job in which he is involved. Quality 1st Basement Systems removed the trip hazards from this sinking front porch in Riverside, NJ. The homeowners noticed that the concrete slab had sunk a few inches over the last couple of years. The PolyLEVEL injection raises the concrete and creates a waterproof layer under the concrete. This waterproof layer prevents future soil wash out, preventing future sinking of the concrete. In Pemberton, NJ Quality 1st Basement Systems replaced an old sump pump with a SuperSump sump pump. The basement is now protected from flooding! A homeowner in Pennington NJ requested a new, waterproof window from Quality 1st Basement Systems. Foreman Juan Garcia installed a vinyl-framed basement window to replace the old. This window will never need to be painted, never rot, will not grow mold, and is totally waterproof. Paired with other waterproofing products from Quality 1st Basement Systems, this basement will be safe from heavy rainstorms and flooding. The white trim of the window looks amazing, is eye-catching, and gives the outside of the home a fresh modern look. Windows are installed quickly, in just a few hours! A homeowner in Hampton, New Jersey had a bowing foundation wall and contacted Quality 1st for a solution. Our System Design Specialist inspected the walls and noticed the bowing. He suggested CarbonArmor be installed on the walls to stabilize them. CarbonArmor is made from reinforced polymer strips that are 10 times stronger than steel. The straps are attached to the wall and secured with heavy duty steel brackets and pull the wall back to its original position. CarbonArmor installs quickly and will not impact future basement finishing. Homeowner in Princeton Junction saw uneven slabs on her concrete patio. Due to the rarity of the concrete, replacing was not an option. Also due to the ornate details, the customer wanted to avoid mudjacking since it would ruin the look of her patio. With PolyLEVEL, the concrete leveling was done in only one day, could be walked on almost immediately, and looks great! Quality 1st Basement Systems repaired this sinking concrete in Mercer county, NJ with PolyLevel. PolyLevel is an expandable foam that fills the void underneath sinking concrete. It is a stable and permanent solution to uneven, sinking concrete. If you have sinking concrete, Quality 1st Basement Systems can help! Quality 1st Basement Systems raised this sinking concrete in Ocean county, NJ by injecting PolyLevel underneath the sinking slab. Sunken concrete can be a trip hazard and also lowers the value of the home. PolyLevel fills the void underneath the concrete and lifts it up into a level position. A homeowner in Waretown contacted Quality 1st Basment Systems regarding his crawl space. The crawl space was located under an addition that was put on the house, and the area always seemed cold and drafty. Quality 1st Basement Systems insulated the crawl space using SilverGlo crawl space insulation system and encapsulated the crawl space using CleanSpace crawl space liners to seal off the space from the cold earth. The homeowner has noticed a huge difference in the addition, which no longer feels drafty and cold! Jackson homeowner called Quality 1st when he noticed the concrete walkway to the front door had started to settle. This was causing a huge tripping hazard for everyone, including the mailman, using the walkway. The PolyLevel System raised the concrete slab back to the desired level and removed the trip hazard. The homeowner and the mailman were both very pleased to see the final results. The new owner of this Dayton, NJ property noticed cracks in the basement foundation. Quality 1st Basement Systems installed a PowerBrace foundation repair system which stabilizes basement walls. This homeowner contacted Quality 1st Basement Systems when they realized the front walkway of their Bayville, NJ home was sinking by the front door. The settlement was an eyesore and the homeowner wanted it fixed right away. The Q1 team injected PolyLevel foam underneath the slab immediately raising it back to level while removing the eyesore. The homeowner was thrilled to see that the job did not affect them reentering the home as soon as the job was done. Quality 1st Basement Systems removed the tripping hazard outside this Bayville, NJ home. PolyLevel Foam was injected underneath the slab, the foam expands and hardens raising the slab back to level. The Homeowner was very pleased with the outcome since they can now use their sidewalk without having any worry of falling. 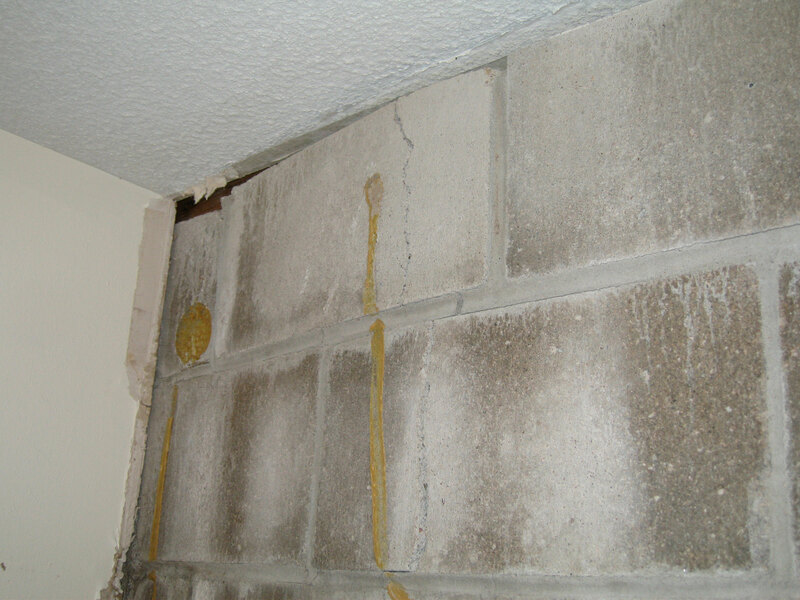 An unfinished basement in Manville, New Jersey had bowing walls and a large crack in the foundation. The floor dropped 1/4 of an inch, and the homeowner needed Quality 1st Basement System's help. Inspector Kenny Tramutola determined that the best solution was to push piers to lift the basement floor and stabilize the walls. A foundation bracket was installed against the footing and piers were driven into the foundation bracket and the soil. It then lifted the structure using high-strength steel. Push piers are strong with high capacity loads and galvanized steel. Now this basement will not bow and the walls are stable and safe. The Q1 Team installed our CarbonArmor Wall Reinforcing System in the basement of this Beachwood, NJ home. The walls had large horizontal cracks due to bowing that had been occurring over time. Now these walls are stabilized giving the homeowner peace of mind that their home is now protected against foundation damage. Quality 1st Basement Systems raised this sinking pool deck in Monroe Township with PolyLevel. The installation crew injected PolyLevel underneath the slab and lifted it back up into place, keeping it level and safe. This walkway was sinking causing a tripping hazard. Quality 1st Basement Systems was out to install the PolyLevel System to lift and stabilize the sinking concrete. PolyLevel is a lightweight solution that is environmental friendly and waterproof so it will not wash out. Quality 1st Basement Systems rebuilt the retaining wall and installed SmartJack Crawl Space Stabilizers. The Monroe Township homeowners noticed the floors on the first level of their home started to settle. When they called their local experts, Systems Design Specialist, Kenny T., noticed the beams in the crawl space were sagging and the walls were the beams were located, had started to weaken and crumble. The crew installed the adjustable supplemental support system to permanently stabilize the beams. The SmartJacks will lift the failing floor joists and restore them back to their original state. The crew then rebuilt the retaining wall around the stabilizers. The homeowners were amazed at the results of their adjustable supplement support system and were thankful Kenny T was able to provide them with enough information for them to make the right decision on installing the SmartJacks. This homeowner wanted to make their basement a more finished and durable space so they contacted Quality 1st Basements. After our System Design Specialist Kenny T evaluated their needs, he proposed the EverLast Wall System. The panels are mold and moisture resistant, with built -in insulation to create a more comfortable space in the basement. Quality 1st Basements received a call from a homeowner from Toms River, NJ who was experiencing serious bowing walls and large foundation cracks in the walls of his basement. Fearing the foundation would get worse he contacted Quality 1st for a solution. System Design Specialist, Kenny T suggested CarbonArmor for it is the perfect solution for bowing and cracking foundation walls. CarbonArmor is a strip made of fiber reinforced polymer that is 10 times stronger than steel. The CarbonArmor strips are installed against the wall to secure the wall from cracking or bowing further. The CarbonArmor stabilizes the wall and gradually pulls it back to its original state. The homeowner was relieved that they no longer had to worry about their foundation of their home, feeling safe and secure once again thanks to Quality 1st Basements. Quality 1st Basement Systems used PolyLevel injections to fix this sinking concrete walkway outside a North Brunswick home. PolyLevel involves the use of high-density polymers to raise the settling concrete back to its original position. Unlike mudjacking, it is minimally invasive and cures within minutes. Quality 1st Basement Systems installed an egress window in this Monmouth County, NJ basement. The egress window provides an emergency escape route out of the basement. Building codes require an egress window if there is a bedroom in the basement, but it also gives peace of mind for anyone with a frequently used below ground room. A homeowner in Englishtown, New Jersey had bowing foundation walls and contacted Quality 1st for a solution. Our System Design Specialist inspected the foundation and recommended that CarbonArmor Wall Reinforcing System was installed. CarbonArmor are strips made from a reinforced polymer that is 10 times stronger than steel. The straps are attached to the wall and secured with heavy duty steel brackets. The straps will stabilize the wall and begin to pull it back to its original position. Quality 1st Basement Systems installed BrightWall rigid wall paneling in this South Bound Brook basement. The wall panels prevent moisture and humidity from coming in through the cinderblock walls. The seller of this Milltown, NJ home knew that he would be unable to sell his property with a failing foundation. The cracks in the foundation wall were in stage 2 of wall failure (identified by stair step crack), and the problem was only getting worse. Quality 1st Basement Systems installed CarbonArmor straps to secure the wall and stabilize the home. The house is now safe and ready for sale! This old sump pump in Milltown, NJ needed to be replaced. Quality 1st Basement Systems installed a TripleSafe sump pump in the basement. This top of the line design has three pumps and a battery back up to keep the basement safe from flooding. Quality 1st Basement Systems Lifted and leveled uneven concrete in front of a Miltown homeowner sidewalk as it became a tripping hazard for the community. What causes foundation settlement and foundation cracks?